Expanding the amount of space we are growing on and the CSA have left the farmer preoccupied in a different way. He is working his tail off this year with little time to spare. After having settled into a good routine over the last few years, it has been hard to readjust to a more intense level of busy again. 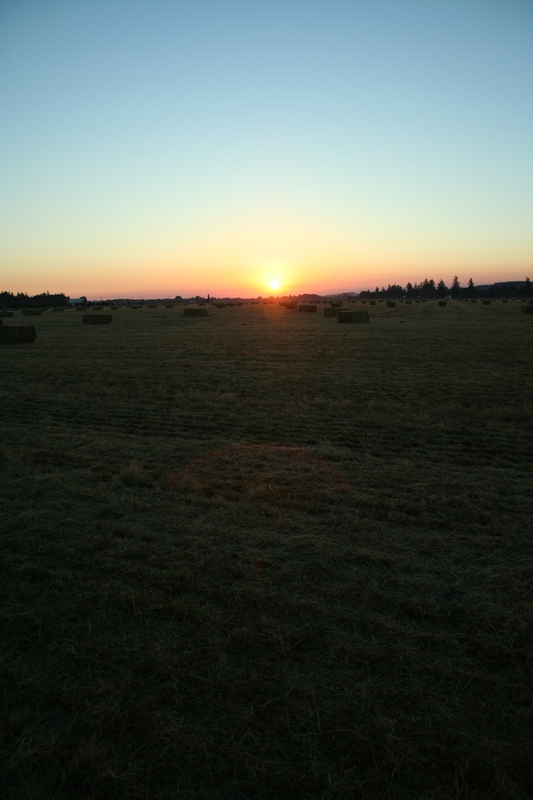 But the thing is, even though there is a lot going on, that old adage about making hay while the sun shines is just as true. All this sun is precisely why we are so busy, so I know I just need to take it all in stride. And as cliche as it sounds, it is just as true that this isn’t a dress rehearsal. This is the one and only summer my baby will be this little, my children just as they are right now. The beauty of the passage of time, the fourth child coming, is that I have learned this lesson all too well. Less will get done this year. Less housework, less yard work; but who cares? I also remember being this busy with the last little babe, starting the farm going, stressed and frazzled and preoccupied. It is now just a part of our family’s journey together, but I don’t want it to be like that again. So although the thoughts will still be there to think about and the weight of the season will be what it is, I am thankful that by now I have learned a little bit about letting go. I can’t do it all. But I can make sure we are having lots of picnics and trips to the creek. I can sit and let the sun warm my skin, feel the breeze on my face, and watch small hands beside me explore the world. I can do the dishes at least most days even if I can’t do them after each meal. A one hour morning nap while all the big kids are fresh and new is the most productive one hour of weeding ever. And putting special things like camping trips on the calender mean that they will happen even though they haven’t yet. And I can manage a decent summer and a growing farm business and four wonderkids, if I only just let go a little bit. It is the one piece of advice I most want to give to new mothers or those who still have little ones four and under. Trust me, the sun doesn’t shine forever. and it goes oh so fast. this is a lovely post. congratulations on all that you are growing. how I wish I could have felt the way I felt with my fourth, with my first. good luck with your full plate…. for me, the first was something entirely its own that I can’t help feel nostalgic for, but this baby is definitely blessed with my knowledge of how fast it all goes, no doubt! Thanks for the good wishes!